I recently read in the press that a study carried out by Virginia Commonwealth University in the US, has identified that people who never get dental checkups had an 86 per cent greater risk of pneumonia than those who visit the dentist twice a year. 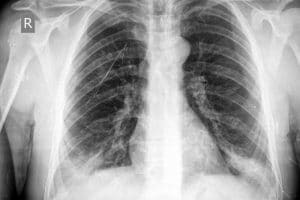 Pneumonia is swelling of the tissue in one or both lungs. It’s usually caused by a bacterial infection. Experiencing these types of problems, can lead to time off work, prolonged pain and suffering and in some it can cause people to be fearful of the dentist. In order to maintain your oral health, it is recommended that you brush twice a day and that you attend the dentist for regular check-ups. It appears that maintaining good oral hygiene will prevent a lot of other health problems. Therefore, people should endeavour to maintain their oral hygiene and attend their dentist as and when necessary. This will hopefully lead to less dental problems as well as preventing the risk of other health problems.